As part of his internal investigation practice, Mr. Roberts serves as a member of the team appointed in 2013 by the U.S. District Court for the Eastern District of Louisiana as the federal monitor over the New Orleans Police Department responsible for reviewing, assessing, and reporting publicly on the Department’s compliance with a far-reaching Consent Decree. 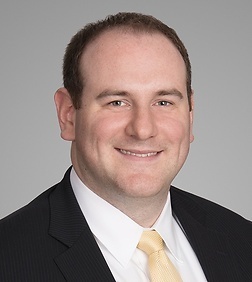 Mr. Roberts is an active member of the Public Law Section of the American Bar Association, and has served as the Editor of the BCA Case Digests for the Board of Contract Appeals Bar Journal. Mr. Roberts graduated from The George Washington University Law School where he was the Roger Boyd Scholar and Editor-in-Chief of the Public Contract Law Journal.